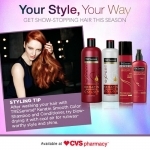 Get healthy looking hair and great savings with Nexxus® at CVS! Disclosure: This post is sponsored by Mirum Shopper; all opinions are my own. Now that summer is here, along with makeup that can take the heat, your hair needs change, too. Being outside in the heat can really dry out your hair. I’ve been using Nexxus® New York Salon Care to keep my hair healthy looking. And now you can save money on Nexxus® at CVS! Having gorgeous, healthy hair is easy with Nexxus®. 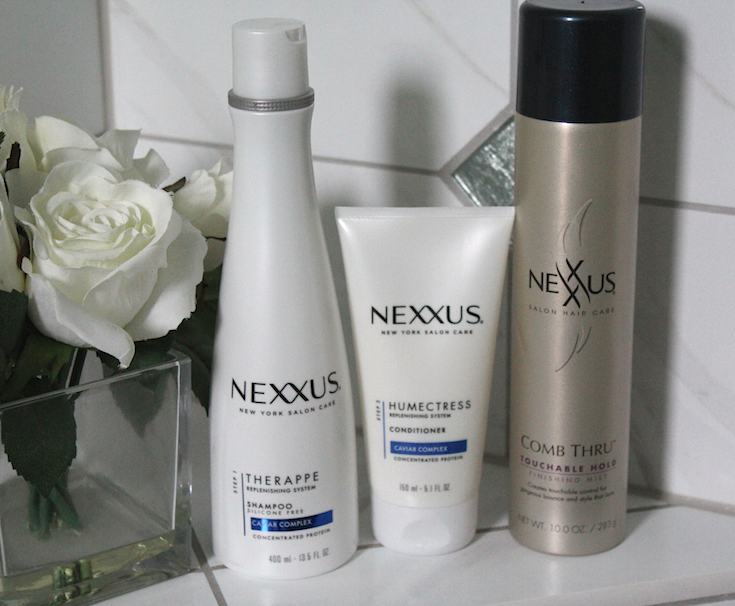 Your custom crafted hair care regimen starts with this three-step regimen from Nexxus® New York Salon Care. First, gently cleanse hair with Nexxus® Therappe Shampoo. 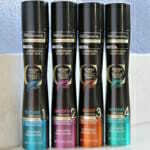 The silicone-free formula replenishes moisture, weightlessly detangles and primes normal to dry hair for conditioning. 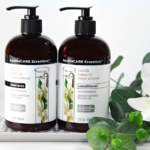 Next, add intense hydration with Nexxus® Humectress Conditioner. This step restores hair’s protective barrier and smoothes without leaving unnecessary residue. While some conditioners have weighed my hair down, this one doesn’t. Finally, use the Nexxus® Comb Thru Finishing Mist Hair Spray to lock in your style. This hair spray is a good choice for summer, because it delivers a frizz-free finish for natural body and bounce. I like that the Finishing Mist gives a touchable hold without feeling stiff or tacky. 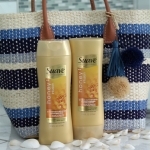 I custom crafted my own easy summer style, using just a round brush, flat iron and Nexxus® hair products that I bought at CVS. 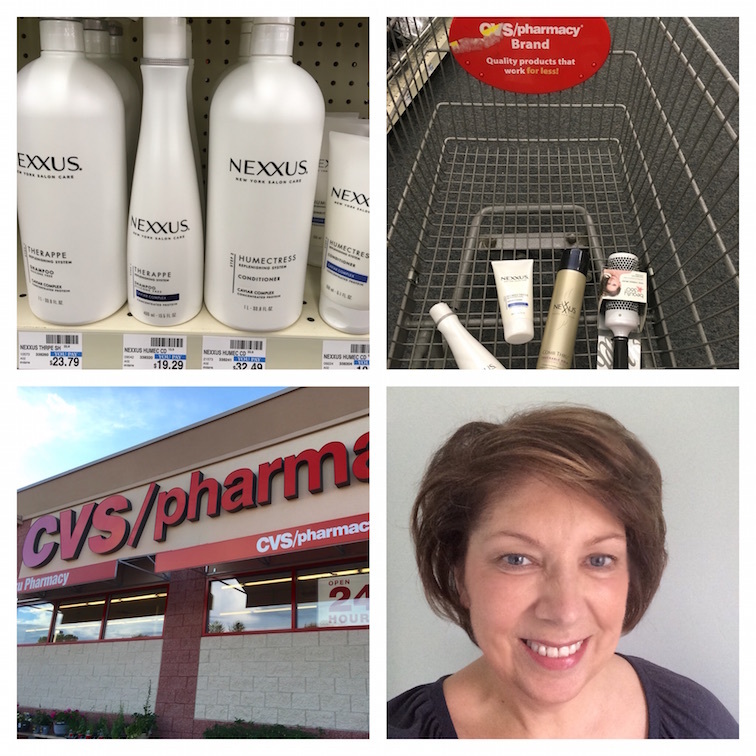 Healthy hair is just a few steps away with Nexxus® and the convenience of your local CVS! Starting TODAY, take advantage of these special offers at CVS. 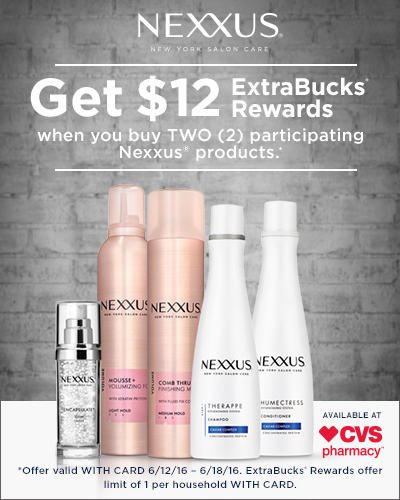 Get $4 ExtraBucks® Rewards when you buy ONE (1) participating Nexxus® product OR get $12 ExtraBucks® Rewards when you buy TWO (2) participating Nexxus® products! ExtraBucks® Rewards offer limit of 1 per household WITH CARD. (Note: offers valid only from 6/12/16-6/18/16). 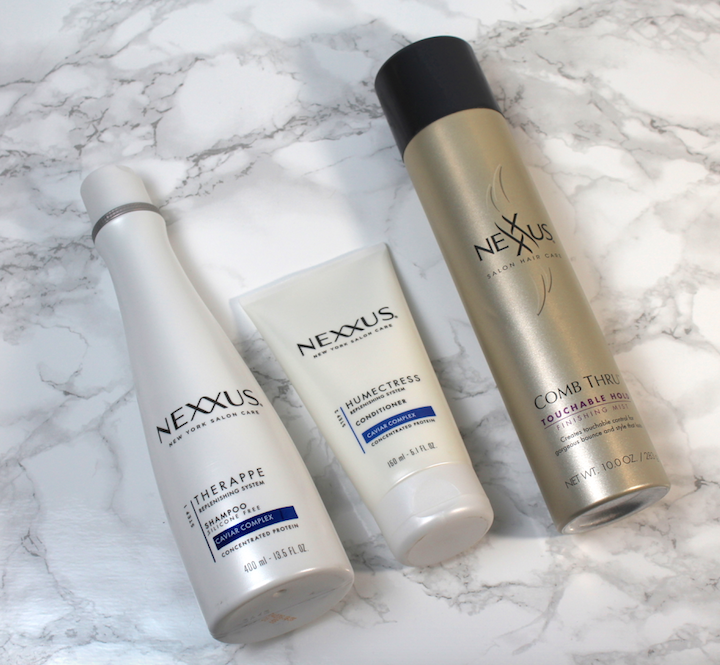 You should definitely try Nexxus® hair products for yourself this summer! And if you stop into a CVS between 6/12/16 and 6/18/16, you’ll receive not one, but TWO amazing offers. Join the healthy-looking hair club with me today! Disclosure: Post sponsored by Mirum Shopper. Opinions are 100% my own. Your style,Your way with TRESemmé! 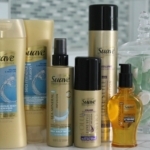 Celebrate American Beauty with Suave & Kroger! Runway Hair with New TRESemmé Micro Mist Hair Sprays! 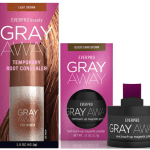 Hide the gray with Gray Away Root Concealer!